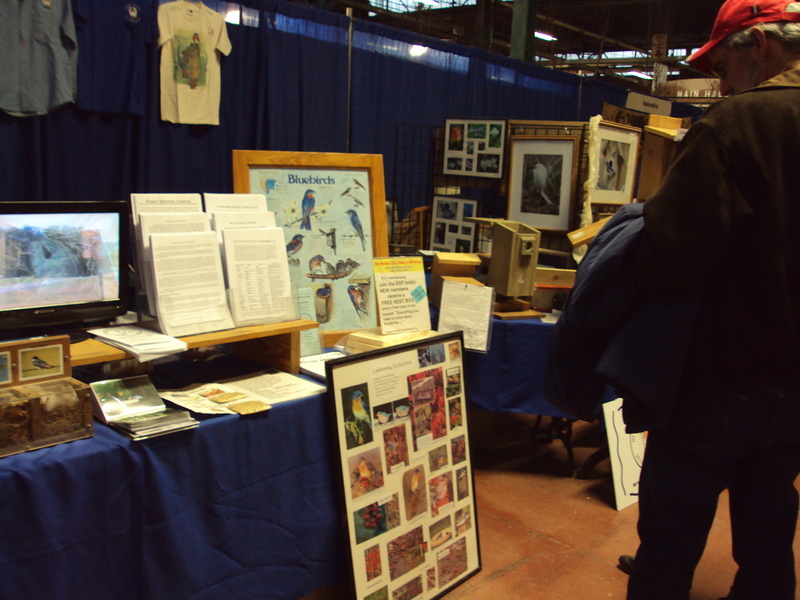 The Farm Show is a good time for volunteers at the BSP educational/store booth- the highlights are the FOOD/ milk shakes, wine- tasting, the ANIMALS and EXHIBITS, and talking with SO many people about BLUEBIRDS!!! Many of the people I spoke to already had one or more boxes on their property......and of course their questions were about ways to get rid of those “DARN” HOUSE SPARROWS. We have helpful information on this topic, and emphasized “be diligent and monitor those boxes!” The SOUND of the “Barn Yard Magic Man’s” boom box did not scare people away.......we just talked louder!!! Our Box Builders, Dale Cook and Bill Strauss helped 45 youngsters to build their own nest box and supplied each with instructions for “Getting Started with Bluebirds” with their free kits. 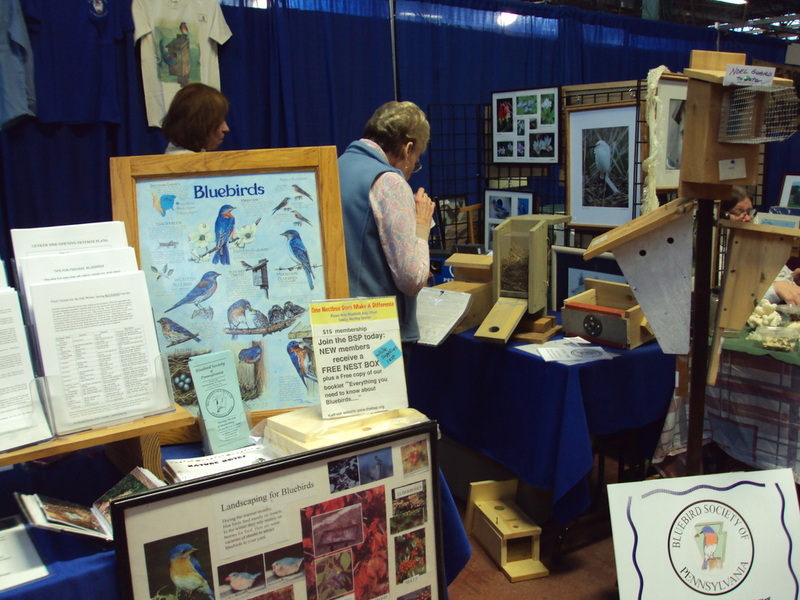 All of this that we do here at the Farm Show is indirectly helping our “Blue Feathered Friends”....and we hope our 62 new members find “Bluebird Joy” with their free nest box kits after they build them and place them in the “Perfect Spot”!!! Joanne Slavinski, Bill Strauss, Dale Cook, Ken Leister, Cindy Self, John and Cathy Blair, Phil and Susan Durgin, Dave and Barb Cox, Al Delio, Joan Watroba, John Woodward, Doris Hoffman, Chuck Musser, Dean Rust, Rick Canada, Shelvy Moorehead, Nancy Putt, Bill Franz, Deb Hershey, Sandy Bittenbender, Terry Gerhart, Dan and Addie Fawber, Bill Cuppett, Robin and James Trail.